We are located on Interstate Pl towards the end just past YESCO and Kort Distributing. 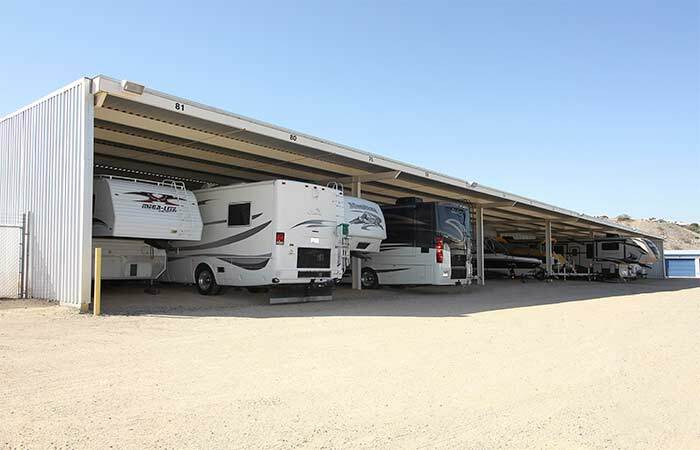 RightSpace Storage Bullhead City offers a variety of personal Boat/RV parking spaces and storage units at the lowest possible price. Whether you’re looking to store the contents of a small studio apartment, a 4-bedroom home, or temporary vehicle storage for you river trip, we have the storage space that will fit your needs on just about any budget. 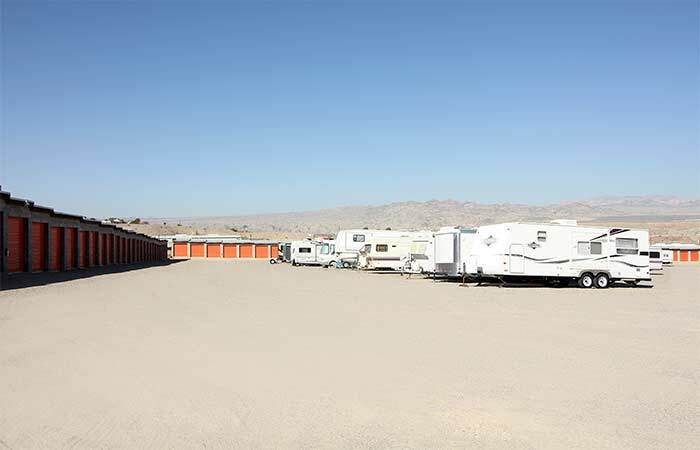 Our fully fenced facility is equipped with the space to store your Boat and RV/Camper at the cheapest price possible. Choose from 6 different parking, all of which are fully secured with our 24/7 electronic gate access. 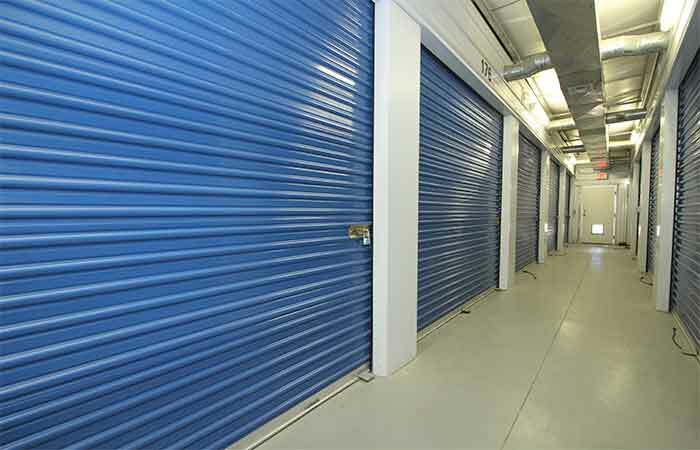 22 Climate Controlled Storage Units – all temperature controlled units are 10x10 (100 sq. ft.). Provides consistent temperatures and extra protection against humidity and fluctuating hot/cold temperatures. Recommended for those looking to store extra-sensitive items that may be too large to store in sealed boxes. 32 Indoor Storage Units - from sizes as small as 5x10 (50 sq. ft.) to as large as 12x18 (216 sq. ft.). Perfect for those looking to add an extra layer of protection from extreme weather fluctuations. 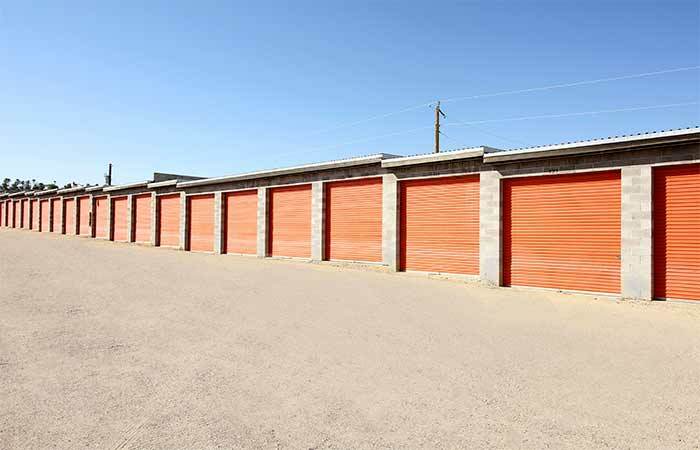 158 Drive-Up Storage Units – from sizes as small as 10x10 (100 sq. ft.) to as large as 12x35 (420 sq. ft). Designed with ease of use in mind. Drive-Up storage spaces are outdoor, so you can drive straight up to your unit to drop off or pick up items in minutes. 81 Covered Boat & RV Parking Spaces – 10x25 and 11x35 vehicle storage spaces available. Ideal for Boats, RV’s, Campers, Trucks, and other vehicles. Adds extra protection from sun and rain. 94 Uncovered Boat & RV Parking Spaces – 10x30, 12x30, 12x40 & 12x60 outdoor vehicle storage spaces available (we highly recommend vehicles are properly covered). Bullhead City, Fort Mohave, Laughlin (NV), Mohave Valley, Lake Havasu, Catherine Heights Marina, & Riviera. 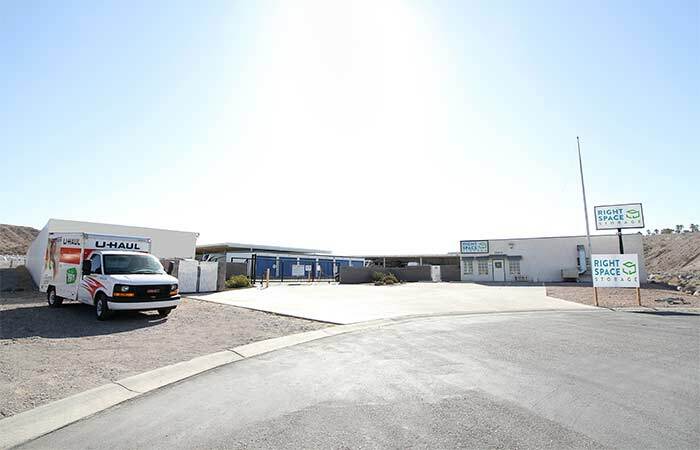 4345 Hwy 95, Ste A Fort Mohave, AZ – Provides indoor storage & drive-up storage. Serving residents and businesses of Mojave City, Mesquite Creek and all other nearby areas. 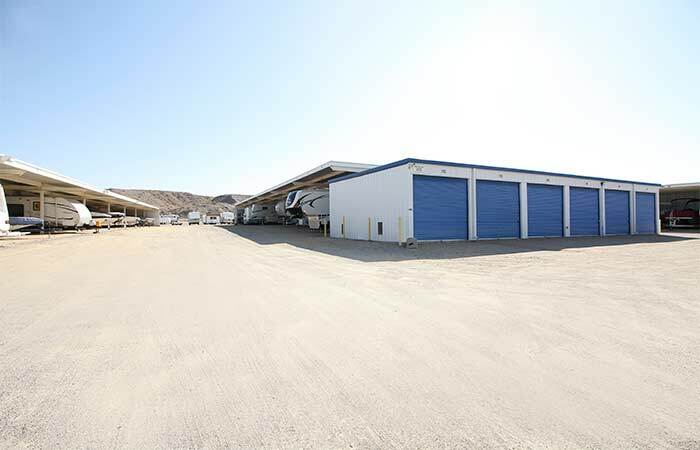 4144 S Arcadia Ln Fort Mohave, AZ – Provides drive-up storage, climate controlled storage, covered & uncovered parking. Serving residents and businesses of Mojave City, Mesquite Creek and all other nearby areas. Very pleasant, no problems at all and easy to access. 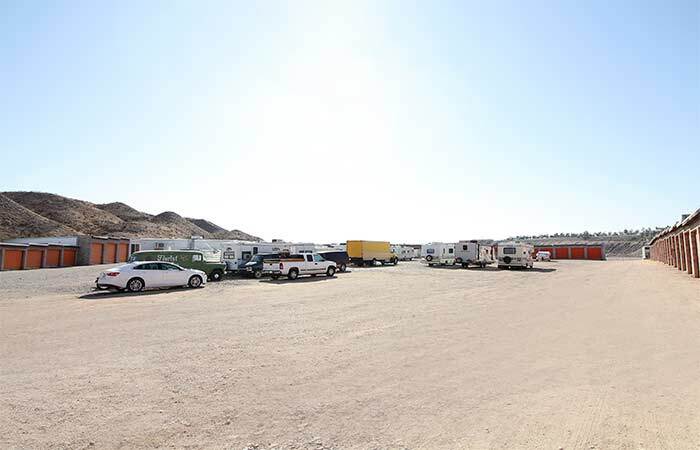 We are very pleased with our choice of storage lots in Bullhead City The staff is friendly and helpful, reasonable prices. Great service . I moved to RightSpace because my motorhome was broken into from prior storage. Cozie remembered us from last year. I'm happy here! I've rented storage locations in a number of cities around the U.S., and the RightSpace Storage on Interstate Place has the best customer service, bar none. They are friendly and welcoming. The location is at the end of service road; it is gated with a key code with 24 hour access; and it is surrounded by fencing. I mention all of this to say it's the safest space I've used. Last, I want to mention the service again. They went above and beyond for me, and I cannot express my gratitude. Thank you. Nice storage facility , Good helpful clerks. Need a little more room between covered area to make it easier to get in or out. 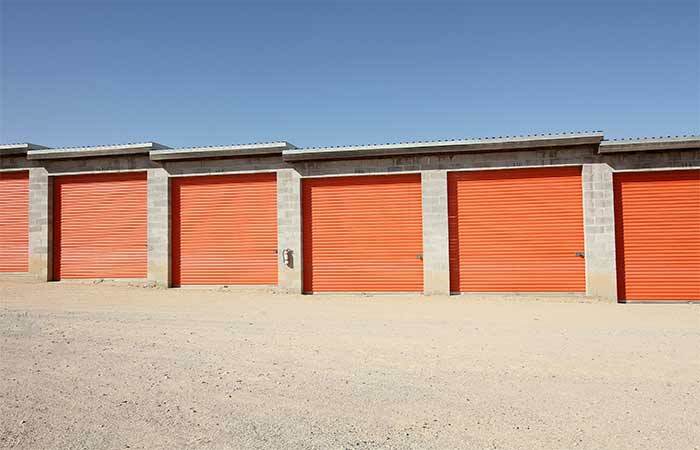 The people working at the right Space storage facility in Bullhead City Arizona are absolutely great I called they were busy they got back to me in about 10 minutes set everything up and I was good to go there was no flaws in the process whatsoever. Can't ask for anything more than that. The desk lady was very gracious and efficient. Sign-up was painless and they gave me the discount from the web. The space was swept once but dusty and could have used a blowing out. Easy to get to with my trailer, though. Bought a stout lock for $10 and unloaded my stuff without a problem. Would recommend the site. In mid-October we brought out RV to Bullhead City for the winter and stored it at RightSpace Storage until our return in January. We had never had our unit in storage before and the staff was very helpful in making the arrangements. The undercover storage was important to us as was the security of the site. We would highly recommend this business. What a special type of storage place, one where the manager actually works to meet the customer's needs! Best experience ever with a storage facility. Manager does her job well! We return to RightSpace storage each year, as they are always courteous, clean and efficient. Never had any problems or surprises. Very easy to do business with and great communication! Very friendly, helpful staff. Fair pricing, easy access - would highly recommend this facility. Really nice storage unit. Perfect units for a 4 ski trailer we reserved a 12x30 unit, plenty of room to back the jet skies in and theres even extra space for chairs or other river supplies. Really nice facility and friendly workers.